Daddy and his two week old baby girl! Yesterday, my husband went back to work for the first time since our new baby was born last month. He was off for slightly under 4 weeks. I strongly encourage all of the fathers who take my classes to take off as much time as possible after their babies are born. Many of them seem surprised by the suggestion, a few of them seem disinterested (like, “but isn’t that her job?”), but most of them express sadness and regret at their workplaces’ unsupportive attitude towards (or flat-out refusal to grant) paternity leave. Many of them are only able (or only feel able) to take the day of the birth off and perhaps one to two more days. I meet many who will only be able to be at home with their new families if the birth straddles a weekend. I could almost cry at the social attitudes this reflects—a complete devaluation of the father’s role, his birth as a father, and his baby and family’s need for his presence. Fathers as well as mothers absolutely need this time to “cocoon” with their new babies. 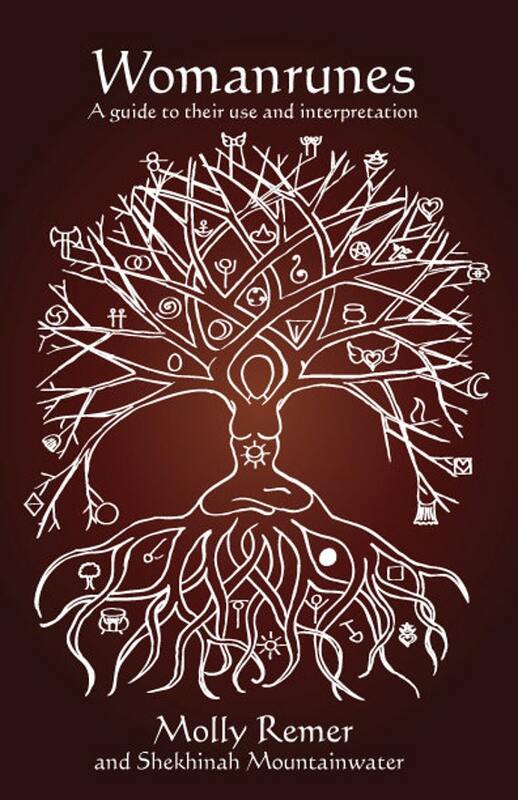 To absorb the magnitude of the changes in their lives, to have time to consider the meaning of their new roles, and to re-integrate into the “normal” rhythms of home life after having experienced the rite of passage and labyrinth of birth. When our first baby was born in 2003, my husband took one week off and then followed it with a week of half days. He was crushed to leave us—describing it as feeling like we were his “wolf pack” and he was having to leave his pack when he really belonged with us. When our second son was born in 2006, we’d wised up somewhat and he took off 4 weeks. It still didn’t feel like enough for any of us, but it seemed to be viewed by his workplace/co-workers as an unusually long length of time to take off. This time he again took 4 weeks and it hasn’t felt like enough for any of us. I’m interested by how his time off seems to be viewed by most as him needing to be home in order to “help” me, not as a time with inherent value to him. While I certainly do need his “help” while postpartum, I view our relationship as a partnership and our family as just that, our family, not as an exclusive maternal domain with occasional visits from the “daddysitter.” No thanks. Is spending time with his new baby, taking care of his other children, and taking care of household tasks in the home we share, “helping” me, or is it being a complete part of our real lives?! A part that is completely ignored/denied by the modern workplace culture and social attitudes. Spending time with Alaina is of value and importance to both of them, as people who will have a lifelong relationship with each other. Also, somewhat ironically, I am the one who took no time off this time around. I teach online and I had no leave from doing so—it was my own choice to sign a contract for this session and the online staff doesn’t even know I was pregnant or that I had a baby. I took 5 hours off and then posted in my class again. I obviously wouldn’t be doing it if it wasn’t compatible with having a newborn—it is excellently compatible—and I prepared those around me for weeks before her birth that the only things I planned to be responsible for for the first two months or so, were my baby and my class (and, obviously, taking care of my other kids too—but, not even them in the early days postpartum!). We have discussed how each of our babies has been a catalyst for big changes in our home situation. Our first baby was the catalyst we needed to move away from our by-the-highway-no-yard townhouse in a city and onto our own land in the country near my parents. Our second baby was the catalyst we needed to finish building our real house and to move out of our temporary house and into our permanent home. So, we are now wondering what kind of catalyst our baby girl will be? We have spent our entire married life (13 years!) saying that we want to live a “home based life.” I truly do not think it is (biologically) normal, desirable, or healthy for anyone to spend 40+ hours a week out of their home, regardless of whether or not they have children or who the primary caregiver is. I don’t think fathers belong at work that much time, I don’t think mothers do either, and I don’t think children belong at school every day. The home-based life idea came to us long before we had kids and it came from all the reading and thinking I did about the simple living movement. So, I wonder—and hope—that maybe our new baby will be the catalyst we need to finally face the fear of possible failure (and/or no money!) that accompanies jettisoning his full-time job and building our other “multiple streams of income.” Maybe we will, maybe we’ll keep talking ourselves out of it, but that is what our baby girl makes us feel like doing! So, here’s to Papatoto! May the fatherbaby unit be recognized as having inherent worth and value. And what a beautiful father-baby pair you have there. been saying for a long time that paid maternity leave will gain more traction when more men start demanding paternity leave (and/or it’s made “use it or lose it” like some European countries). The problem I’ve always had with the kinds of feminism I’ve been mostly exposed to is that they seem to hold up the male model as an ideal to aspire to, instead of trying to show men how oppressed *they* are in the box they’ve been crammed into and encouraging men to enjoy the freedoms we women have, while sharing their own freedoms and opportunities more equally. Loved reading this Molly. We should be talking more about the fatherbaby unit! I love this post — he has been so devoted to all of you during the babymoon time, and it was so obvious that he’d rather stay with you than return to work. I’m still chuckling over his ability to sooth the baby — he said to me, “See? I have skills!”. Wonderful……. Molly, what a thought provoking entry. And validating, too. I had to push my husband to take 2 MEASLEY weeks off from his job when we had our twins in 06 via c-section. I think he wanted to, but he had zero support and a lot of push back from the partners at the firm he worked at. With no family to help, lifting restrictions, 2 brand new babies, deconditioning from 5 mos of bedrest, and ultimately the development of a major postpartum depression/anxiety episode — I have to say that my first days as a new mom were some of the darkest days of my life…and that makes me cry when I think of it. I often feel that I was a failure as a mom, and carry much guilt at not having enjoyed my babies…and after reading your article, I feel a bit empowered to replace those feelings and indulge in a bit of anger at the lack of support in my life as a new mom. 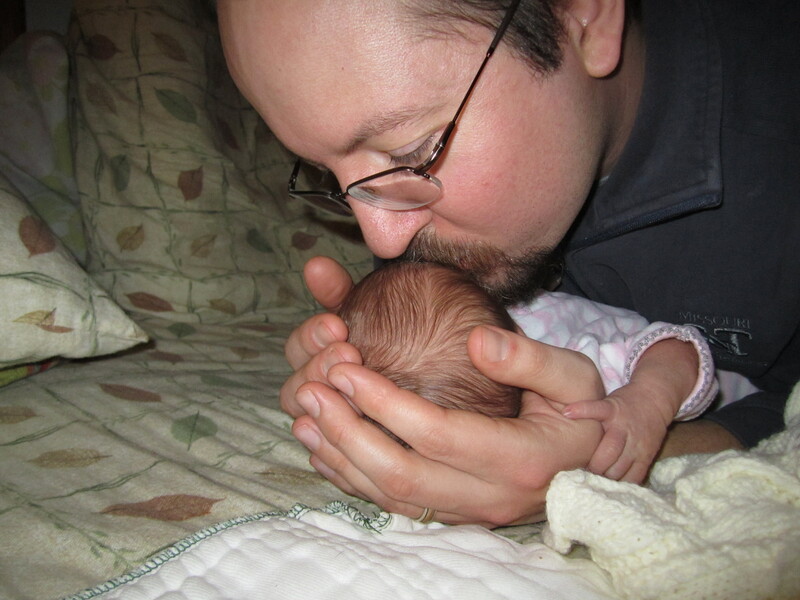 — the support that may have made a difference in how I experienced new motherhood. To your strong stand on dad’s having a presence in the home versus at work in the days post partum, I say Cheers, cheers, cheers.